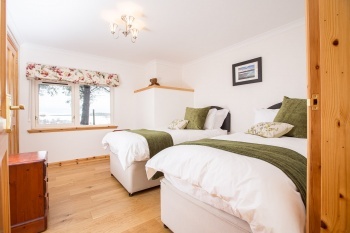 A luxury dog friendly holiday cottage in the Highlands. 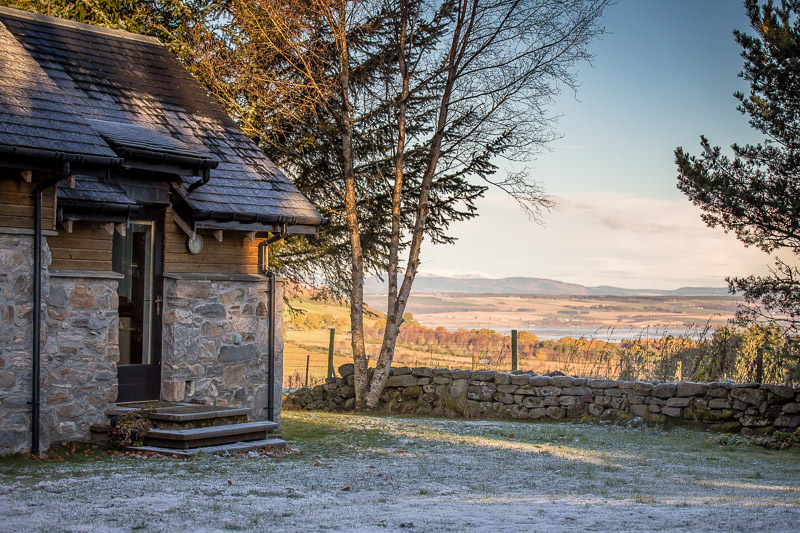 It is a traditional stone steading which is wonderfully furnished throughout with thoughtful and luxurious touches. 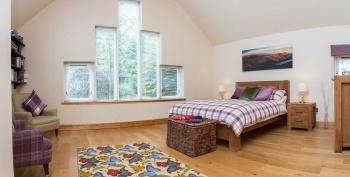 Under floor heating will provide warmth underfoot, especially welcome during Highland winters. And a wood burning stove makes it even more cosy! 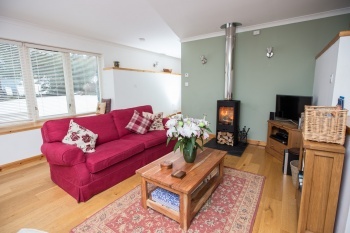 Pinewood Steading has been fully equipped so you don’t need to bring anything but yourselves and your clothes when you come to stay. No need to bring kitchen items like washing up liquid, dishwasher tablets, washing machine tablets or cloths. Nor sandwich bags, cling film, baking paper or tin foil. You don’t have to pack kitchen towel, or loo roll, or even spices, herbs, oils, vinegars, salt and pepper. We make your holiday packing easier by providing this for you. And as a luxury dog friendly holiday cottage in the Highlands, we provide doggy items like bowls, poo bags, shampoo and throws. 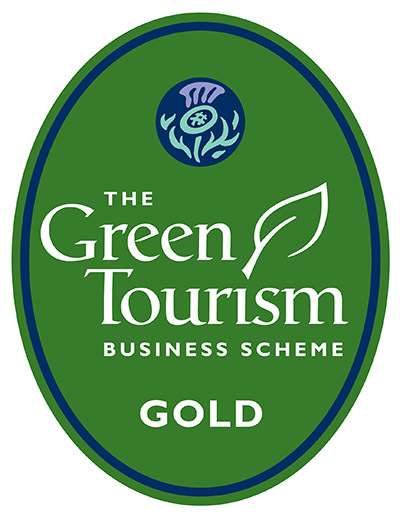 And as many of these items as possible are ‘green’ in accordance with our Green Policy here at Pinewood. We also have an Accessibility Statement and are happy to answer any questions you may have about the layout of, and access to, the Steading. 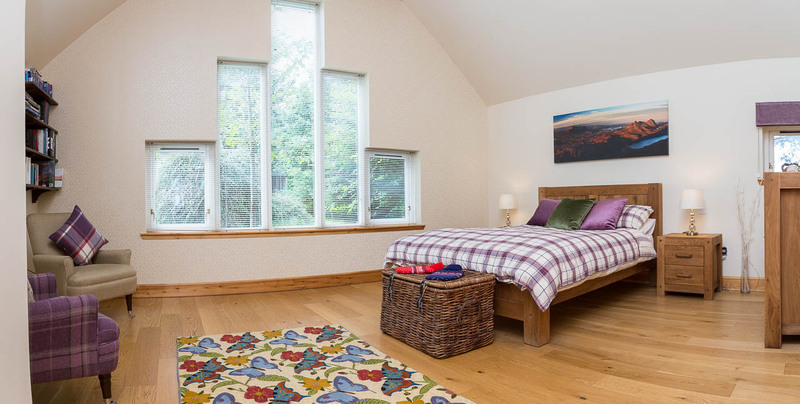 The master bedroom is a wonderfully large room and features a king size oak bed with luxury mattress. We make the bed up with high quality linen from The White Company to ensure you have the best sleep possible. It has a large built-in wardrobe for all your holiday clothes. The room is also furnished with an oak chest of drawers, two bedside tables with lamps and a large oak mirror. We have provided a reading area with a good library of books and two very comfortable armchairs, should you wish to have some quiet time away from the other guests. The room is set off with a large cathedral window at one end. This room also has an ensuite toilet with basin. The second bedroom has twin beds which can also be made into a super king bed, again with linen from The White Company. It boasts stunning views across the countryside and to Ben Wyvis. Many guests comment on the mattresses and linen we use. They regularly say they have the best night’s sleep here. 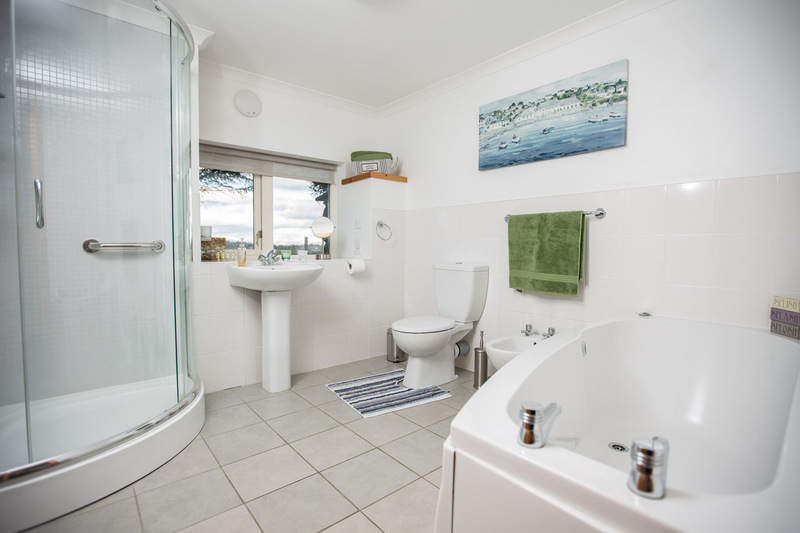 The main bathroom is large with a separate shower unit and a bath. Great for those of you who like to soak after a day’s touring or walking. We provide toiletries (hand soap and lotion, shower gel, and bath foam) from the Highland Soap Company, along with thick, fluffy towels. Coming complete with a great view towards Ben Wyvis, this really is a loo with a view! A highlight of Pinewood is its large and spacious, yet still warm and welcoming, kitchen. It has been beautifully designed with many cupboards and worktops. It is fully equipped with high quality utensils, appliances, and everything from crockery to cutlery, cocktail makers to toasters, even spices and oils. So, whether you plan to make a 3 course gourmet meal or simply knock up something fast and delicious, you should have all the equipment you need. 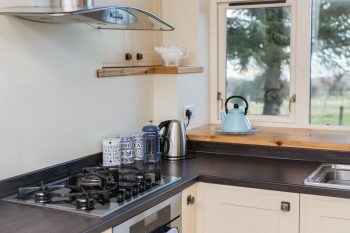 As well as a kitchen table to seat four, it also has a breakfast bar, so your fellow guests can easily chat to you if you are the one in the kitchen! There is a utility room with a washing machine, and space where coats and boots can be kept. The sitting room is always the place where you want to settle down, cosy up, and relax. Come and warm your feet by the wonderful wood burning stove. 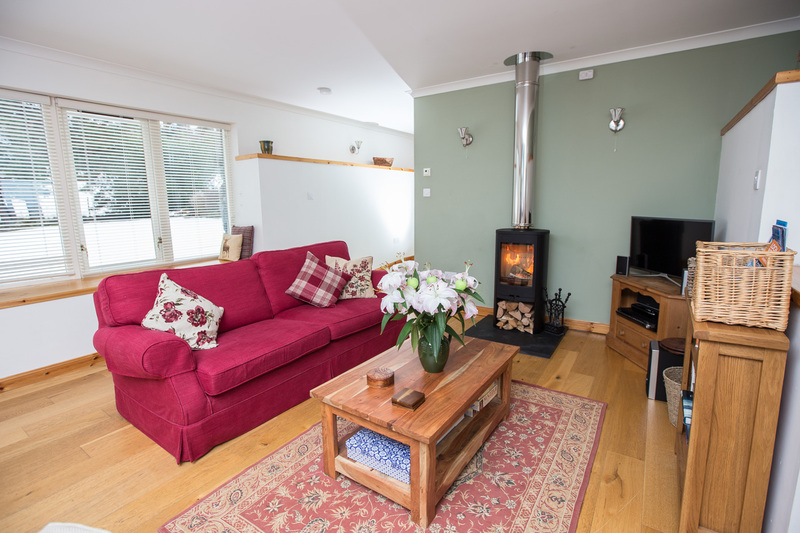 The sitting room is spacious with a very comfortable sofa and armchair with super views over the countryside. It has a flat-screen TV, a Bose (bluetooth) speaker system, and a DVD player with a wide range of DVDs. We also provide lots of local tourist information and maps. Netflix and Amazon TV are available to guests who have accounts with them. You’ll also find a selection of family games and cards for those of you who like to play. Please note we have wooden floors throughout the main living room area. So if you bring dogs, you may like to bring non-slip mats with you (if you have them), or we do have a few available to use. Pinewood Steading is accessed via a tree-lined drive, which provides your first glimpse of our inspirational views! Keep an eye out for wildlife as you make your way down the drive. There is space to park 2 cars by the garage, next to Pinewood Lodge. Pinewood Steading and Pinewood Lodge are on the same site. We are neighbours, but not attached. We are most often out and about, or away, but always available on email or the phone to help with anything you may need. The Steading has its own enclosed and private garden with spectacular views over the Beauly Firth, Ben Wyvis, and Strathfarrar – in fact, 180 degree views! We have set up a wooden decking area outside with BBQ and garden furniture, so you really can soak up the location and the stunning scenery. And if you’re lucky, you may be able to catch sight of the Northern Lights! We have an old pottery room attached to the garage, which can be used for drying wet outdoor gear or to store your bicycles. Please call in advance if you wish to bring a pet. We do ask for pets to be house trained and agreed by “prior arrangement”. Also, please note we are only able to accommodate children over 6 years of age. We also maintain a No Smoking policy.